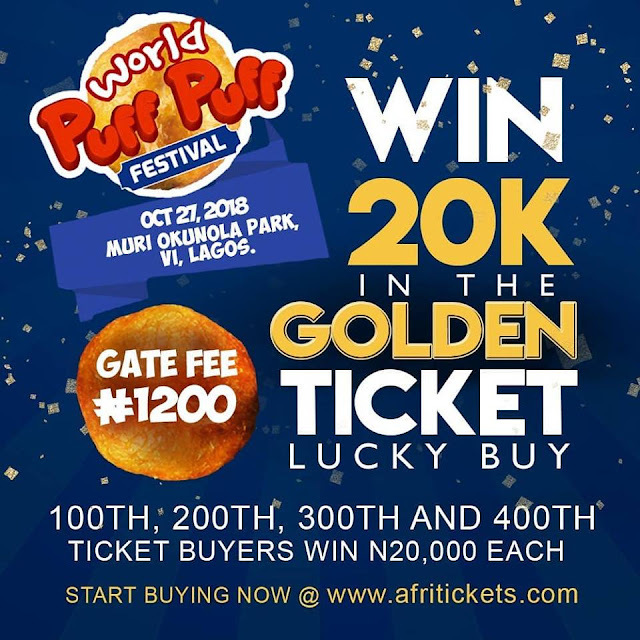 Win N20K In Dangote Kitchen World Puff Puff Day Giveaway. World Puff Puff Festival tickets are selling fast. The maddest puff puff dishes from the maddest caterers on display. Here’s the gist, for every ticket you buy, you stand a chance to WIN N20,000 in the Golden Ticket Lucky Buy. We are rewarding the 100TH, 200TH, 300TH, and 400TH TICKET BUYER with N20K EACH. Buy now at www.afritickets.com before it sells out.